The staff at Hao House makes fresh wontons daily. Aspen’s latest restaurant is here for a good time, not a long time. 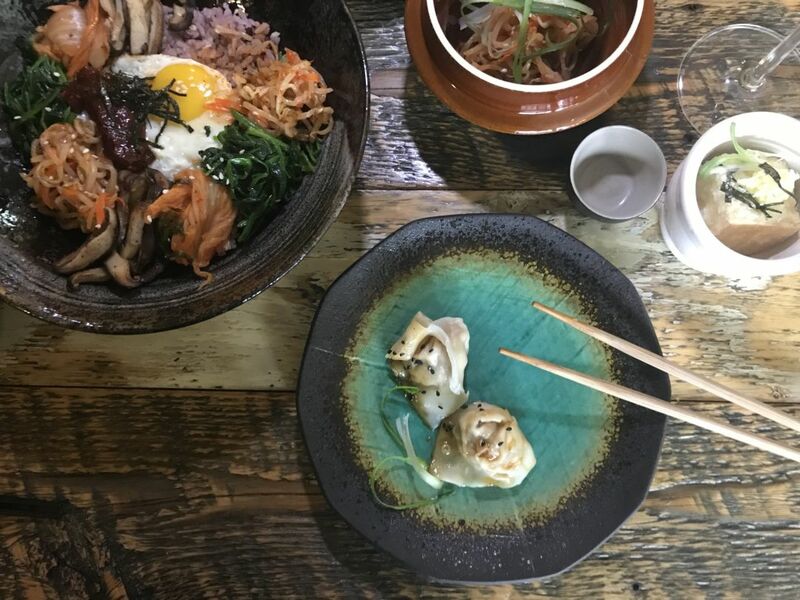 Hao House, created by the team behind Jimmy’s and Jimmy’s Bodega, serves up Asian-style street food in the space formerly occupied by Bodega. According to Jessica Lischka, general manager and partner, “We decided to do something with really great food that’s both unique and fun.” The “traveling team,” which includes Yeager, Lischka, and bar manager Greg Van Wagner, among others, regularly journeys around the world to research spirits, wine, and restaurant culture. Yeager’s Japan trip inspired many of the beverages now included on the Far East cocktail menu as well as the sake offerings. Jimmy’s Bodega was known for hosting daily happy hour (from 4-5:30 p.m.), a tradition that continues with Hao House. The creative cocktail menu includes favorites from Jimmy’s (try the Morning Droplets of Dew on Frozen Grapes), plus original creations, as well as sake, wine, and beer. There's even an Asian version of a “Mexican Standoff” cocktail flight. As for the wine descriptions on the menu, Van Wagner dropped the pretentiousness often found on lists and instead pulled all descriptions from a deck of Cards Against Humanity for some cheeky entertainment. Wanting to offer more than ramen, Wang and co-chef Ki Yong Kim offer a changing menu. December featured dishes from Taiwan and Korea, while January was all about Japanese food (with a few holdovers from December). Diners are being taken on a culinary journey to China during February; March offerings are still in the works. We sampled the Smashed Cucumbers on a recent visit. Cool yet spicy, with a little sweetness and saltiness, they are an umami treat. Other popular dishes are the finger-licking-good fried chicken, which was first served Korean style and has now been re-imagined with a Japanese twist. The Taiwanese Beef Noodles, another carry-over from the first menu, are warm and satisfying, perfect to enjoy after a day of skiing or on a snowy night. The staff also produces upward of 500 homemade wontons a day. Hao House just started to offer online ordering as well, with pick-up in about 10 minutes. Prices on February's Japanese menu range from $8–$24. Open 4–10 p.m. daily. No reservations accepted.